Need an online shop? We’ve got you covered! 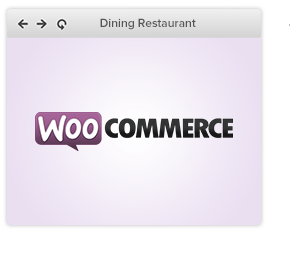 Popular WooCommerce plugin plays nicely with the Dining Restaurant, you can start selling right away. 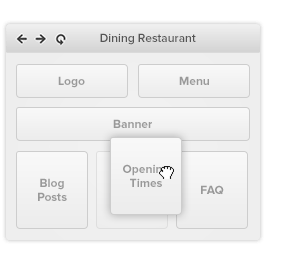 Dining Restaurant comes with many custom widgets and sidebars, so creating a totally unique layout is easy and fun! It has never been easier to setup and run a website. Almost any aspect of the website can be changed in the advanced administration panel. 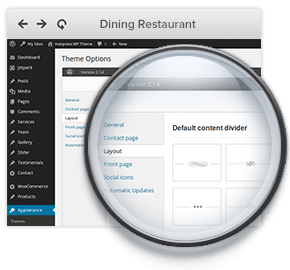 Change the look and feel of the Dining Restaurant with the real-time preview WordPress customizer. You can see your changes instantly and see what works the best. There are many fantastic WordPress plugins out there and Dining Restaurant supports them by default. Jetpack, Contact Form 7, Custom Sidebars and FancyBox for WordPress to name just a few. We have screencasted and published many video tutorials how to get started with our themes. In case anything still goes wrong or you need help, we offer timely support for our items for free! Is default way of building pages too complex for you? 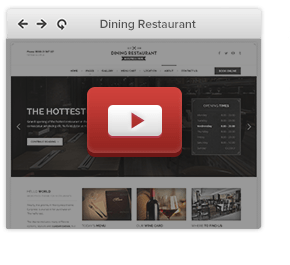 Don’t worry, Dining Restaurant has integrated Page Builder which does all the heavy lifting for you. With its intuitive drag & drop interface building pages becomes a pleasure. 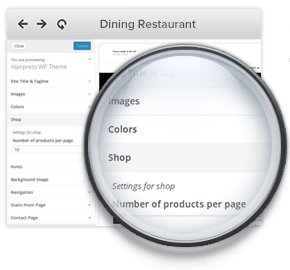 Events Maker is an all-in-one events manager plugin for WordPress that was created and implemented in Dining Restaurant with usability and flexibility in mind. Its main features are easy events management, multiple tickets & pricing and built-in Ajax Calendar. Accept restaurant reservations and table bookings online. Quickly confirm or reject bookings, send email notifications, set booking times and more, right in your WordPress administration. Digitale Traformation – machen Sie Ihr Business Online?